Whenever I think about heterocycles, I always long for a worhty reaction that does something “outside the box”. 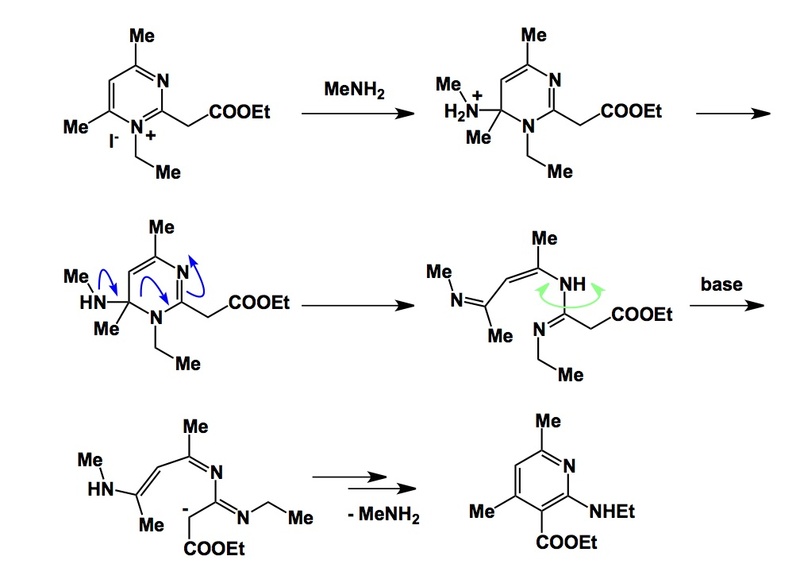 While condensation processes continue to serve as a rich resource of ideas on how to put together different substitution patters of nitrogen heterocycles, there are only a few rections that enable one to rearrange heterocyclic scaffolds. Today I will mention a fairly obscure reaction that hails from the old Soviet Union, which is why I am willing to bet that many of you have never heard of it. Chemistry developed behind the “iron curtain” tended to stay there, and there was even a suspicion on behalf of Western chemists that there might be deliberate diversions and misinformation in Soviet journals. I don’t think this was actually ever the case, but there had been many examples where no knowledge about a given reaction practiced by the Soviet chemists existed until it was discovered some years later in the West. The Kost-Sagitullin rearrangement is one such process. Almost all literature pertaining to this remarkable rearrangement was published in Soviet journals, although there are some good modern reviews in English. I am showing this reaction in the graphic below and providing a reference. The Kost-Sagitullin rearrangement is a great way to convert pyrimidines into pyridines, but you probably realize that there are some limitations pertaining to the substitution pattern of the aromatic ring. The last step is actually quite neat, but I won’t dwell too much on it now. It is up to you to think whether or not this is an electrocyclization or a stepwise process. It is too bad that not much has been done in elucidating the mechanistic underpinnings of this remarkable “nitrogen dance”. It’s interesting that the counterion had such a significant effect. Swapping I- for OMe- dropped the necessary temp down to RT, and boosted the yield as well. I wonder if you could run the reaction on an ion exchange column. That’d open up interesting flow chemistry applications and reduce waste at the same time. By all means, good point. It is an interesting effect! This is true, I agree with you. Good math only requires a pencil and a sheet of paper.